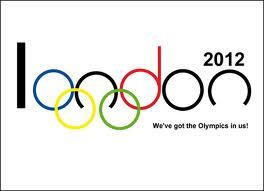 Soon it is going to be time for the 2012 Summer Olympics in London. For all of us who would love to be in London but can’t make it, here are some ideas for family fun with your own Olympics. Your Olympics can be for your family or the whole neighborhood, but it is sure to be an epic event! First you need to decide on your Olympic events. You could stick to relatively traditional forms like bicycle races, running races or broad jump, but why not expand into more creative options? Races are good, but not everyone is talented at racing. 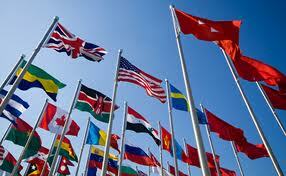 Set a goal to come up with Olympic events for as wide a range of talents as possible. Consider a soap or bubble gum bubble blowing event, a hold-your-breath-as-long-as-possible contest, a silliest-song singing event, a blind-folded maze competition, puzzle assembly races or a speed dish-washing contest. If you consider the talents of the children around you, you may be able to devise events in which many of them can shine. Silly events are good. The serious competition is on TV. These Olympics are for fun. Next you’ll need to decide how each event will be scored—great opportunity for problem solving, organization, and math. For example, will your bubble-blowing contest be scored for size or number of bubbles? Or will you give points for each? How will judges score the silly songs? Do the dishes have to be dried or just washed? Once you’ve made the decisions, be sure to create scoring sheets and guidelines for each event. Once you have the events, you have lots of opportunities to create an Olympic atmosphere. 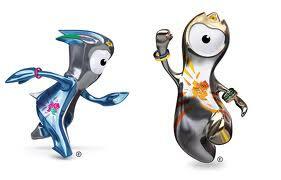 The London Olympics have a logo and a mascot—actually two mascots, Wenlock and Mandeville. Design a logo and mascots for your Olympics. Sadly, Wenlock and Mandeville have received a less-than-enthusiastic response. (I can’t imagine why—who wouldn’t love one-eyed alien creatures??) Take a look at some mascots from years past and design your own. Surely you can do better! You will need prizes for your Olympics. You can go the traditional route and use one of several websites that will allow you to download Olympic certificates and medals. But why not design your own? In recent years, each Olympics has had custom-designed medals, so yours can, too. If you’d like to see examples of medal designs from days past, check out this booklet from the International Olympic Committee. Do you have performers in your neighborhood? Perhaps your Olympics should have opening ceremonies. For some of us, memories of opening ceremonies are as clear as those of the sporting events. Remember the amazing opening in Beijing (this is just the very beginning)? In London, organizers say the stadium will be transformed into a British countryside, complete with farm animals, a cricket match, and maypoles! If farmland represents Britain, and sycronized drumming portrays aspects of China, what represents your family/neighborhood? 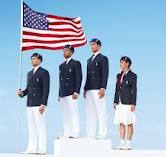 Check out the uniforms the American team will wear for the opening ceremonies. Let budding fashion designers plan fantasy costumes (or even real ones) for your family. Carrying the Olympic torch is a tremendous honor. Think about who your family would like to honor in that way. Even if they can’t attend your Olympics, write a letter to your torch carriers to tell them why they are important to you. What will all those Olympic athletes eat? According to one source, it will include 25,000 loaves of bread, more than 100 tons of meat and 330 tons of fruit and vegetables and 232 tons of potatoes! What menus would you plan for all those athletes? Or try some recipes from England, for that London Olympics spirit. What other Olympic ideas do you have?